That's incorrect. An increase in the price of milk would cause movement along the demand curve, not a shift of the demand curve to the right or left. 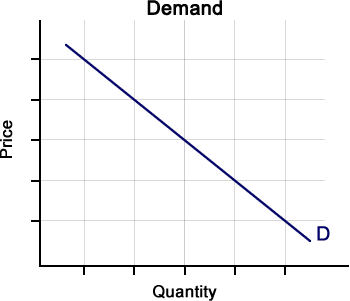 The correct answer is the demand curve does not shift. That's correct. An increase in the price of milk would cause movement along the demand curve, not a shift of the demand curve to the right or left. up the demand curve for milk. down the demand curve for milk. That's incorrect. An increase in the price of milk would cause movement up the demand curve for milk. That's correct. An increase in the price of milk would cause movement up the demand curve for milk. a change in demand for milk. a change in the quantity demanded of milk. That's incorrect. An increase in the price of the milk would cause a change in quantity demanded. That's correct. An increase in the price of the milk would cause a change in quantity demanded. 4. Based on Scenario 1, which factor caused the change in quantity demanded of milk? That's incorrect. The change in the quantity demanded of milk resulted from a change in the price of milk. That's correct. A change in the price of milk caused a change in quantity demanded, not a change in demand.